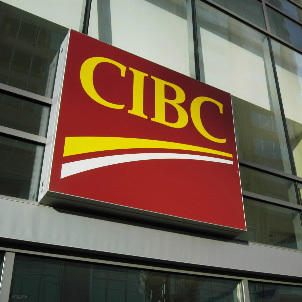 THE SKY IS FALLING AT CIBC? On Tuesday, CIBC’s wholesale lending arm, Firstline Mortgages, announced drastic changes to their lending policies. They will no longer participate in self-employment and new-immigrant lending programs. These programs made it possible for Canada’s growing self-employed and new-immigrants to get a mortgage at discounted interest rates. click here for The Star’s report featuring some of own personal comments. The move by Firstline seems to have come immediately after 2 recent reports… First, CMHC said they are reaching their $600billion cap limit on the amount of mortgages CMHC can insure. Currently sitting at $541billion, as of the end of 2001. (I think this is the real reason for Firstline’s lending changes.. a more thorough explanation is below). But next, a Bloomberg news report was released, earlier this week quoting a 152 page OSFI report (by the way, I searched OSFI and couldn’t find that report). The article drew comparisons between the US sub-prime mortgage lending and Canada’s self-employed and new immigrant lending programs. In Canada, we have much stricter lending policies that is in keeping with our conservative reputation….. And let’s not forget, the Fed govt has made 3 major changes in the past 3 yrs… making it tougher to qualify for a mortgage. -maximum amortization reduced to 30 years maximum. -refinances were cut to 85% loan to value. -business for self without traditional income confirmation will need to put 10% down payment, instead of 5%. We really don’t need any more tightening. The record low interest rates are helping to drive the real estate market. Once rates go up, the values will level off and maybe even drop. New immigrants are a big part of what has made our country the best place in the world, to live in. In 2010, there were over 250,000 new immigrants that came to Canada. These are people, anxious to work, wanting a better life…..wanting to spend and borrow…helping our economy grow. And as a former Senior Lending Manager with a major bank, I can attest to the fact that granting new immigrants a mortgage has always been considered a low risk loan. Most new immigrants would give up their right arm, before not paying their mortgage. You bought a house, you put down 20% or 25% and you didn’t have to pay CMHC or Genworth hi-ratio mortgage insurance. Congrats…! But did you know that your mortgage might still be CMHC or Genworth insured? That’s right. Banks and other financial institutions have been buying and paying for CMHC insurance through portfolio insurance. This makes the mortgage a secure investment for the Banks. If you default, the loan is guaranteed by CMHC, a Crown corporation. Soveriegn debt. You can’t get any more secure than than. It also takes the mortgage off the Bank’s books and frees up more capital for other investments. Here’s a thought… CMHC is a Crown corp that is there to help Canadians own a home… well, maybe they should take a look at the % of mortgages that are 85% loan to value or higher…this number isn’t as high as you might think. Remember these stats from January 2011? And we also know that last year, the total outstanding mortgage balance in Canada topped $1trillion for the first time in history….. You could say that CMHC has a very well secured book of business…. Come on CMHC, let’s make insurance available for those Canadians that need it… it seems the Banks have found a way to eliminate all their risk when it comes to lending money…but we know they keep all the rewards and profits (how else do you explain $billion profits through the 2008-09 recession and beyond) Maybe it’s time to increase that $600billion limit… There doesn’t appear to be any arrears problem with mortgages either… last I heard, we were at around 0.43% for mortgages in arrears more than 90 days. Previous Previous post: BMO 2.99% No Frills mortgage needs another look. I agree with you that lending practices in Canada are far different from those in the U.S. during their real estate boom. However, we need to be far away from those ridiculous practices. I’m concerned about singling out certain groups (immigrants and the self-employed), but it seems to me that it makes sense to tighten lending requirements right now. I’m prepared to be convinced otherwise, but it will take more than just pointing out that the Americans were far worse. Hi Michael, thanks for your input… I had so many more details to include in the post but didn’t want my readers to fall asleep while reading this article. I guess the question is, what would be the purpose of tightening mortgage policies further? Is it to slow down the growth of personal debt levels? Is it to cool off the real estate market and increasing property values? Are we concerned about people taking on too much debt and not being able to handle the payments, if and when interest rates rise? Or are we really concerned about toxic mortgages in Canada, similar to those that caused the mortgage meltdown in the U.S.? The effect of further tightening will make it harder for Canadians to own a home. It will slow the economy as homebuyers spend a lot and help to keep the economy active… an economy that is still quite fragile. I’m not really sure it will do anything else. We were probably more lucky, than smarter, in that we only introduced U.S. style mortgage products in 2003 to a very small segment of the population. That’s when we offered homebuyers 107% mortgages through a U.S. lender. It wasn’t very popular due to the high interest rate. Then, in 2006, we extended mortgage amortization to 35 years and later, to 40 years. We also introduced interest only payment mortgages that year. But these products disappeared only a few years later in 2008 and the amortization for those with less than 20% down is now 30 years. Experts estimated that in 2008, less than 5% of all Canadian mortgages were considered sub-prime. Today, that number has to be far less, given that sub-prime lenders have all but disappeared from the market. There is no sub-prime problem in Canada. We just don’t have those lenders available anymore. The risk that CMHC portfolio insurance will be unavailable to the Banks, is more likely the reason that the Banks want to reduce their mortgage product offerings…. They don’t want to inherit any additional risk… This isn’t about wanting to help Canadians from spending or acquiring too much personal debt….If they really cared, why wouldn’t they make it harder to get a high interest credit card? The banks don’t care about your or I, they care about the bottom line, the shareholder, their profits and losses. Remember, we have an estimated $1.5 trillion in personal debt. And $1 trillion of that is in mortgages. So $500 billion is in other debts… credit cards, loans and unsecured lines of credit. Why aren’t we focusing more on these products….? Isn’t a home a good purchase? Isn’t a mortgage a better debt than a credit card? Thanks for the detailed reply. I still find the current borrowing rules very liberal. I just punched my information into ING’s “How Much Can I Borrow?” calculator. It said that ING would lend me 4.9 times my gross salary, even if all I had was a 5% down payment. If interest rates were to rise a couple percent driving me into bankruptcy and housing prices dropped by one-third, ING (or whoever they passed the risk along to) would take quite a loss on my mortgage after selling the property. I’m not predicting rising rates or dropping house prices, but it is a possibility and I don’t see a good reason to allow more people to badly overextend themselves. I agree with you that we don’t have a big sub-prime problem in Canada. I wouldn’t want to slow down anyone who seeks to borrow a reasonable amount on a mortgage, but I can see room for denying to worst cases of over-extension that the current rules permit. Such action may hasten a housing correction. On the other hand, if we don’t tighten the rules further and a correction happens anyway, then we are just adding to the number of people who will be in financial trouble. You’re absolutely right that non-mortgage debt is a big problem. I don’t know what can be done to address this problem other than to raise interest rates, which would create many more problems. Interest rate hikes won’t affect existing homeowners like we all think…I’ll explain…. It’s true that because interest rates are low, you can borrow almost 5 times your salary… but this is interest rate driven, it’s not the lending policies.. Lending policies have Debt Servicing ratios… 32% of your gross income can be used towards housing costs.. and up 40% of gross income for housing costs and all other personal debt… These ratios have been around for over 30 years and seem to have stood the test of time… together with good credit history, a steady income and quality real estate and we have a good mortgage in place… a relatively low risk mortgage. And because we are now forcing most homebuyers into Fixed rate terms (usually 5 yrs or longer) there is very little concern about interest rate hikes… If rates go up this year, or next, or the year after that, it won’t affect my mortgage as I locked into a 5 year fixed rate… my payments won’t change for 5 years. (remember, even variable rate borrowers had to qualify at POSTED Bank rates so they should be able to absorb rate hikes). Let’s take a $300k mortgage… with a 3.29% rate.. my payment is $1309/mth… My income is $65k… After 5 years have passed, my interest will probably be higher than it is today… let’s say it’s 5.29%… my payments after 5 yrs will be $1654/mth… Will this be a problem for me in 5 years? I don’t know but history says probably not… but we do know my mortgage balance will be $268k… and I think we could also assume my income will be higher… maybe it’s now $75k..? (I’m basing this on my own clients income growth and inflation….this figure can be argued but at this income level, I find increases are generally larger than for those in a higher income bracket). I just don’t see the risk to anyone borrowing funds at these historically low interest rates for a mortgage… for a home…and if they qualify….This is good debt, in my opinion…if they qualify and can afford it, then let them buy… let’s not push them out… Self employed individuals have to pass an underwriting test too… they must have a very high credit score, their businesses must be registered, they must show they file and pay income taxes and they also must state a reasonable income for their type of business….. and they are also charged an insurance premium that is more than double that of those with traditional income verification…. But credit cards and unsecured lines of credit or personal loans? These are bad debts, they are more expensive and they are the real problem in Canada… with $500billion in outstanding non-mortgage debt, the govt should clamp down on this segment of credit…this is where the real focus should be… force he banks to make the borrower less accountable and then you would see credit granting become much stricter… take a look at some personal bankruptcy statements.. I don’t think you’ll find homeowners or mortgages as the problem..
I’m a broker in the UK and have seen first hand all the changes happening over here in the self cert/self employed mortgage arena. I’d just like to say that having a years worth of decent accounts can make such a difference to a persons chances of getting an approval. My guide might be of interest to you and maybe some of your ex pat readership?